The girls learned a lot - and so did I. For instance, did you know that you can now text 9-1-1 instead of calling? When I mentioned I had read this bit of information on a fire engine, one of the other women in our group asked, "Why would someone text rather than call?" 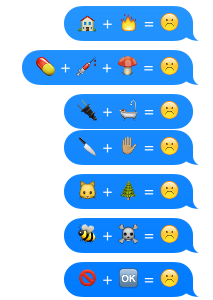 And the Lieutenant explained, "Well, they may be in a situation where they don't want someone to hear them calling 9-1-1, or they may not speak English..."
And then I helpfully chimed in, "Also, they may prefer to illustrate their emergency using only emojis." 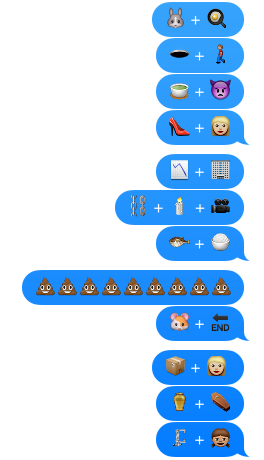 Which is why I spent a considerable part of the next couple of hours figuring out different emergencies I could illustrate using emojis and then texting them to my buddy (and one of the firefighters who gave us the first aid instruction), Jeff. While I think it can occasionally be fun to be my friend, I also believe it can be fairly exhausting...and require a lot of data usage. = I am being forced to watch "Fifty Shades of Gray"